Princesa Resort Sandy Beach, Rocky Point, Puerto Penasco, Mexico. 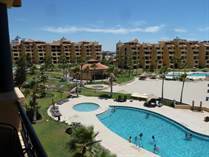 The Princesa Resort was built in 1999 in Puerto Penasco, Rocky Point, Mexico located on Sandy Beach and the Sea of Cortes. With lush, well maintained grounds, 5 buildings and a clubhouse, the Princesa resort and been constructed to maximize the direct views of the ocean and beach from all points in the Resort, giving owners and renters a feeling of luxury and privacy. Condominiums as the Princesa are available in 1, 2, and 3 bedrooms. Ground floor condominiums have direct access to the resort grounds from their walkout patio. The upper floor units offer incredible views of the ocean, old port, sunset and resort grounds. Each condos has a fully equipped kitchen, has it own laundry room, walkout patio and includes TV/VCR/DVD and cable. Contact Kyle Wood at United Country Mexico Advisors for additional information on properties at The Princesa Resort. If you are interested in selling your unit, please contact Kyle for your private listing consultation.